Try Us Once And You'll Be Hooked! These Popular Flavors Now In! "YOU GUYS ARE THE GREATEST. I ORDERED TWO CASES FOR MY SISTER FOR CHRISTMAS AND SHE SAID IT WAS THE BEST CHRISTMAS EVER....!!!!!!!!!!!! Tuna is rich in protein and is an excellent source of essential omega-3 fatty acids which help to lower blood pressure and cholesterol. 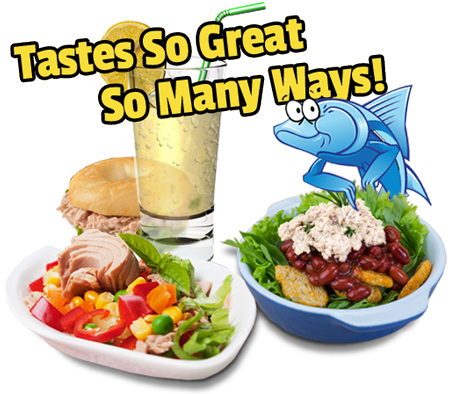 Tuna is also low in fat and calories. Our tuna doesn't have any additives, just a small amount of salt. 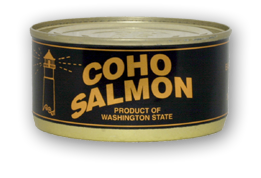 Pacific Northwest pole-caught albacore is one of the most healthy and sustainable seafoods you can eat. It tops the Monterey Bay Aquarium Seafood Watch program’s Super Green List, meaning it’s a “Best Choice” for sustainability, contains the daily minimum of omega-3s, and has low levels of contaminants. 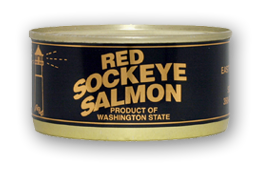 Our tuna is caught and processed in the U.S.A.
Troll-caught or pole-caught means the fish was caught by towing a lure or baited hook behind a slow-moving boat. In the albacore fishery, trollers attach multiple fishing lines to the vessel's outriggers. Trollers are limited in the number of fish they can catch — they have about 12 hooks in the water at any one time, and when an albacore is hooked, the fisherman has to pull each line in individually. This means there virtually is no by-catch. 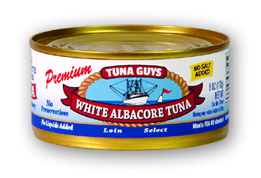 When we pack our albacore, we cook the fish only once, leaving all the natural omega-3s in the can. The large national brands of tuna lose most of the omega-3s in a pre-cooking process before the fish is put in the can with water or vegetable oil, and sell the extracted omega-3 oil to supplement manufacturers. Our troll-caught albacore are lower in mercury because they are smaller and younger (nine to 25 pounds and three to five years old) than the longline-caught older fish that reach up to 70 pounds after 10 to 15 years of growth. The older the fish, the more it bio-accumulates mercury. Our reputation has been built on our incomparable gourmet Albacore Tuna. 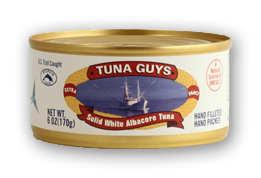 To order tuna now, just click [HERE] to go directly to that product group. To browse all of our products, start [HERE] or click the "products" button on the top navigation bar.